RAF Brize Norton grant the Aeros their Aerospace! The wind may have been light but the racing was intense at Bowmoor for Round 5 of the RS Aero UK Winter Series. The entry of 22 was impressive, close to the record set at our Oxford Winter Champs last month. 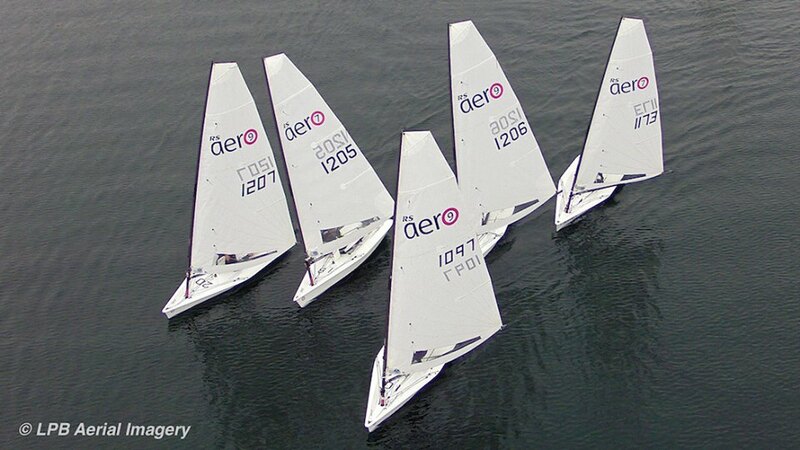 All Aero classes started together and raced using the local PY numbers with 1 discard after the 3 races. As a late boost to the event LPB Aerial Imagery and SailRacer were in attendance, joining their expertise to produce a promotional reel combining aerial video with a GPS generated graphic overlaid to demonstrate their capabilities of bringing spectators closer to the game in an interestingly viewable format. to fly their drones and the RAF were very helpful agreeing to fly their training flights away from Bowmoor that day, granting the Aeros their Aerospace! Another star guest was the RS Aero designer, Jo Richards, who came to spectate and passed on many helpful top-tips during the lunch break. A short first beat and a long downwind slalom in each race ensured a closely packed fleet and tight mark roundings making tactical positioning critical. 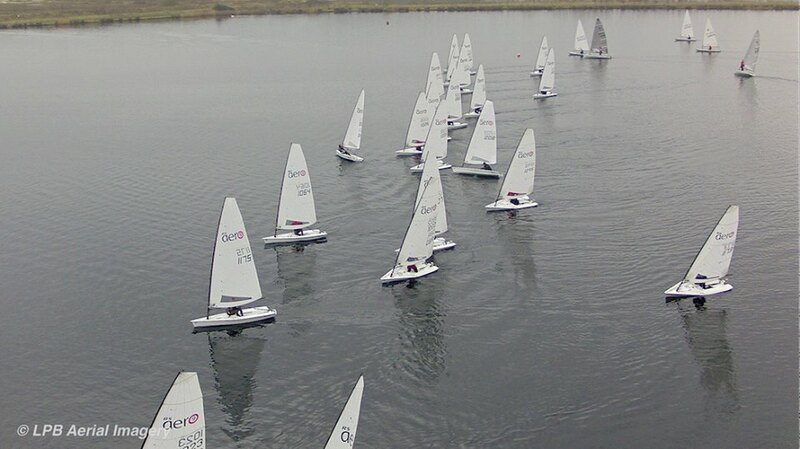 Zig-zag-ing across Bowmoor proved to be something of a navigational exercise initially in race 1. Local knowledge counted for little with 3 local boats relinquishing top places by sailing the wrong way. However, those local boats then went on to make their comeback in time to take 1st and 2nd places. Selecting the right end of the long start line was tricky in the conditions as it was a pretty even call, all credit to the race officer Steve Harvey. Quickly finding the right ‘mode’ to sail in on the different points of sail was a challenge and something Dave Lynall, who won all 3 races, was doing very effectively. There were tight battles for the overall standings throughout the fleet with no less than 5 sets of tie breaks in the results sheet! Next up is the RS Aero Training at Northampton both days this weekend in conjunction with the RS Tera class. So far we have a fairly even mix with the Aeronauts in their 5 rigs being joined by both parents and locals. Also this Sunday 22nd is the final round of the RS Aero Winter Series, the Grafham Grand Prix which is showing a good turnout of RS Aeros and the last chance to shave some points off the final series result. 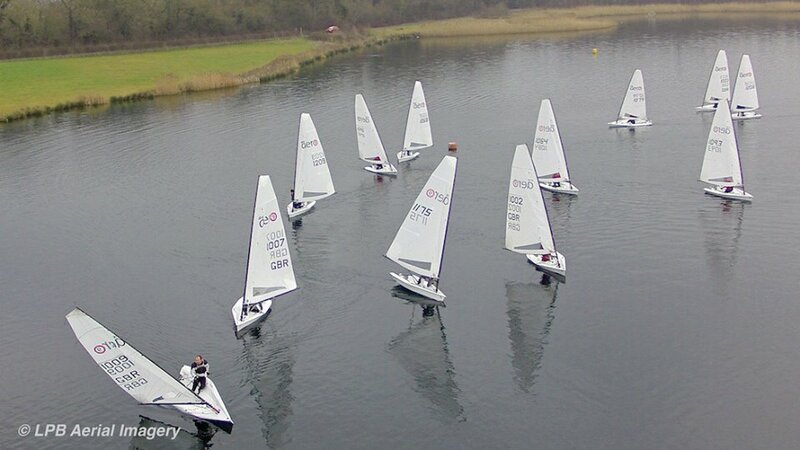 - Bowmoor Sailing Club for making us very welcome and accommodating us within their club racing. 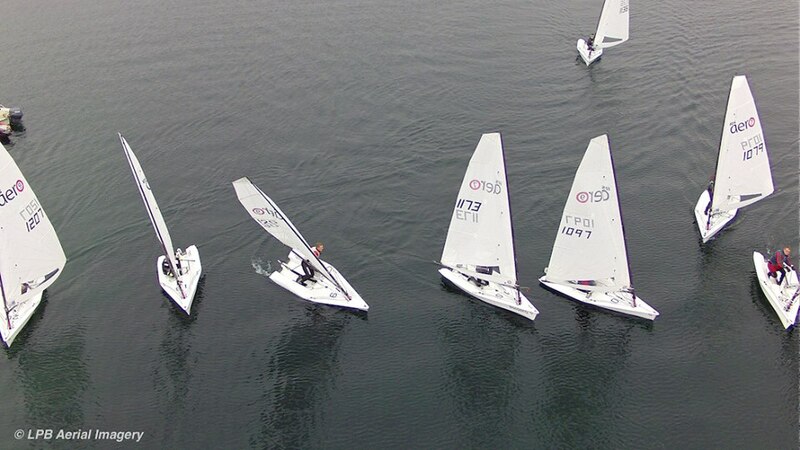 - LPB Aerial Imagery and SailRacer for their involvement and enthusiasm. - RS Sailing for providing prizes. - Race Officer Steve Harvey and his team for a great job on a tricky day.